After a series of announcement from its rivals, Starmobile finally unveiled one of its most talk-about handsets to date - the Starmobile Knight Luxe. Here are five things that you need to know about the device. 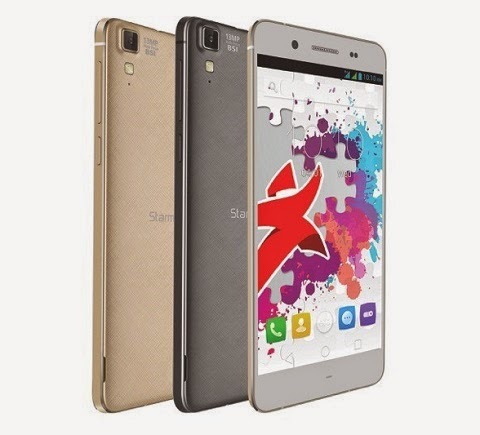 Starmobile Knight Luxe becomes official with an elegant design, a svelte form factor and legit hardware. After a series of announcement from its rivals, Starmobile finally unveiled one of its most talk-about handsets to date. Here are five things that you need to know about the device. The Statrmobile Knight Luxe comes handy with 5-inch HD AMOLED display with 720 x 1280 pixels on the get-go. The panel also scales up to 267 ppi pixel density which is basically fair enough when using the device outdoors. Under the hood, the handset ticks with a powerful MediaTek MT6592M chipset which features an octa-core CPU with 1.4GHz speed. Likewise, you'll also get the Mali-450 MP4 GPU and 2GB of RAM to drive all your daily tasks without sweat. In terms of design, the Starmobile Knight Luxe is one of the most stunning local handsets to date. It comes with a thin body which only measures at 6.85 millimeters. The handset also boasts thin bezels and filleted corners which is somewhat comparable to the Meizu m1 note. The Starmobile Knight Luxe will definitely be an eye-catcher when you‘ll see it in the wild. For the mobile photographers, the Starmobile Knight Luxe is employed with a 13MP camera with the popular ISOCELL sensor from Samsung. The sensor has a good reputation in taking pictures, even in low light. There's also the 5MP front camera which is up for all of your selfie shots. The Starmobile Knight Luxe’s main selling point aside from its design is the octa-core CPU. And knowing that it is only priced at Php 7,690 justifies this point. Plus, it is also powered by Android 4.4 KitKat which is a generation-old version of Google's mobile OS. The handheld also comes with a number of trade-offs. For one, there's no LTE connectivity. Likewise, the device only packs 2050 mAh battery which is quite small for an HD device.